After a long time I am back with another brand/product review. Remember my unboxing from The Butterfly Project's 4th Birthday Celebration? Well, this is the last product introduction from the batch. I sorta discovered and understood why many beauty enthusiasts keep raving about Clinelle products and dare I say that their Hydrocalm Sleeping Mask is on the same level as Laneige's Water Sleeping mask! 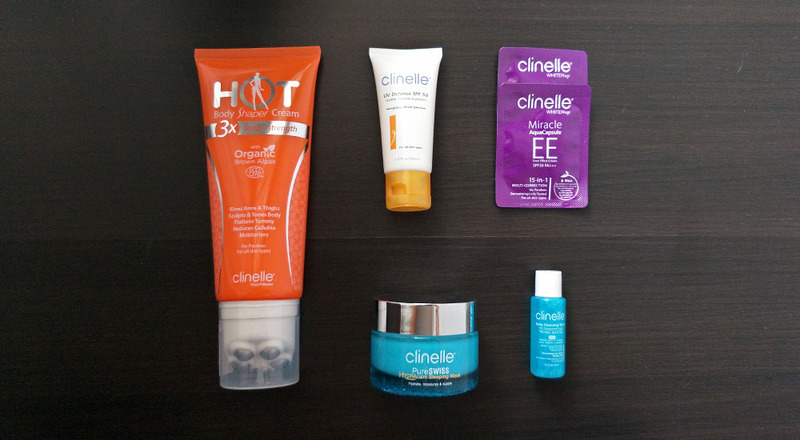 Clinelle Hot Body Shaper Cream, Clinelle UV Defense SPF 50, Clinelle Miracle AquaCapsule, Clinelle PureSWISS Hydracalm Sleeping Mask and Clinelle Deep Cleansing Water. 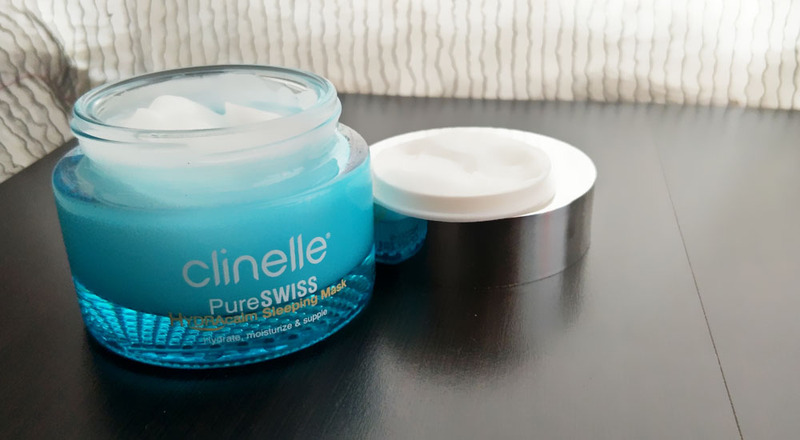 Allow me to start with my favourite out of the bunch ya, well you kind of would have expected it because my fav is the Clinelle PureSWISS Hydracalm Sleeping Mask. I am not sure whether is it because I just fall asleep better these days or this product really calms me down and puts me to sleep almost instantly. For the past week, I noticed when I started using this sleeping mask, I have been acting like a baby when it comes to sleeping time...lols. It probably has something to do with it's almost nature-like scent (water + tint of breeze kind of smell). You can definitely tell that it has a chemical base to it but somehow it doesn't smell clinical, it just smells very 'clear'. If 'clear' ever had a scent this would be it. And I am sure that because it's like super-water-based product, my skin easily absorbs it and almost like instantaneously I can feel my face 'relaxing'. You know the feeling when you go hiking, when you come across a river and you decide to splash your face with the river water; doesn't it make you feel fresh and somewhat calm at the same time? I get that kind of get that feeling whenever I use this product. In my opinion, I feel like it has a lighter texture in comparison to the Laneige's Water Sleeping Mask. I would definitely repurchase this once mine finishes. Double thumbs up! 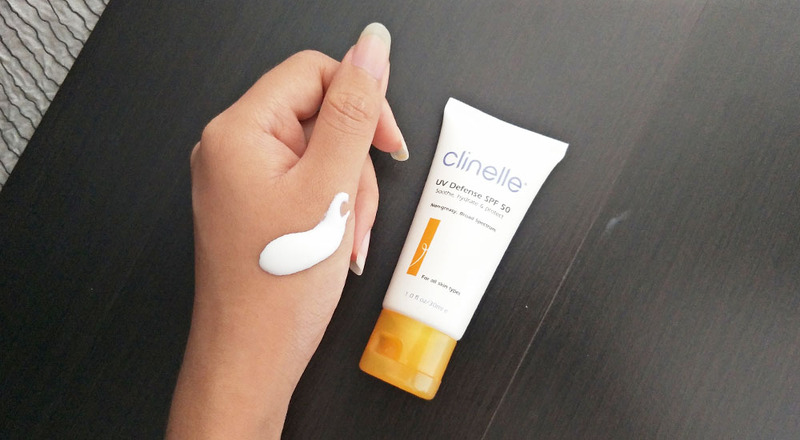 Next, is the Clinelle UV Defense SPF 50 which sort of blew my mind away. You know how sunscreens are like in general right? Slightly greasy, heavy and most of the times it has 'colour', correct? Well, this product has none of those! It's almost as if you are just applying water on your skin. Even though the 'cream' in the picture looks highly concentrated, once you apply it...it disappears! You barely feel it's presence...no wait actually, you don't feel it at all. And again it has this very 'clear' scent to it. Not the same scent as the sleeping mask, but very similar. For now, this is like my top favourite sunscreen, and it probably should be on your top priority beauty product list too. I am honestly amazed at how all their products in this line does not have that heavy feeling upon applying it to the skin, heck, even the Clinelle Miracle AquaCapsule feels airy (or should I say watery) as hell. And this is supposed to feel like applying foundation on to your face...but it doesn't. In fact, it actually feels like you are water painting on your face. Yes, it does feel like you have a layer on your face after it sets in, but that's pretty much how it feels like with any other foundation. Oh! If you are going to get wet or something, I would say it is pretty waterproof if you do not rub or place any unnecessary pressure over your skin. I did try rubbing it off, rather than coming off completely, it just 'moved around'? Hold on...let me try explaining this. It's like when I rubbed off a section it was easy for me to just cover the empty spot back by 'blending' the rest of the cream around the area. Does that make sense? Oh wells...it just works ok. It is in a lighter tone, so I tend to use very little amount of it. It still manage to evenly cover all the 'unwanted traces of war'. 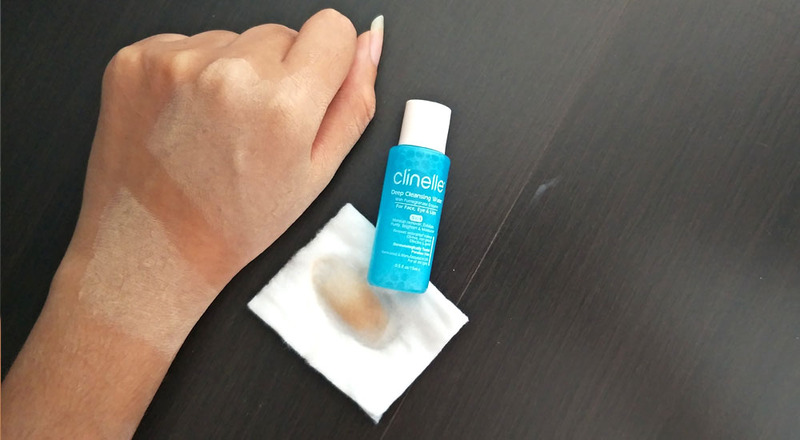 I would say that this Clinelle Deep Cleansing Water does its job quite well, though I don't see much difference in terms of its function and benefits with majority of the cleansers out there. I would definitely still stick to my The Saem Healing Tea Garden Cleansing Water simply because it cleans my skin and helps to calm the 'raging warriors' (aka pimples). I think I found a way to burn my fats faster with the help of Clinelle Hot Body Shaper Cream. Since I recently, just started getting back in my exercise routine, it has significantly helped me lose/burn the fats faster. Within a mere 10 days, I actually managed to trim away the excess flab on my tummy area. I did not attempt to use this product on its own so maybe you will only be able to see the results within a month of diligent use, if you were to just massage the cream onto the problematic areas and not exercise. Though I would seriously recommend you to exercise after applying the cream. Oh! And I have to warn you that it does get pretty 'spicy' and since usually our flab areas doesn't have a smooth blood flow, do expect certain areas to itch for a bit. With constant application, I realise that the itch lessens over time. Of course, if your skin turns into a red patch then it would probably be for the best if you stopped using it. I guess...that pretty much sums up my review for all the Clinelle products that I received from the 4th Butterfly Project Birthday Celebration. Do let me know if you would like to try out any one of this products or if you have already used them, let me know what do you think about them in the comment box below! 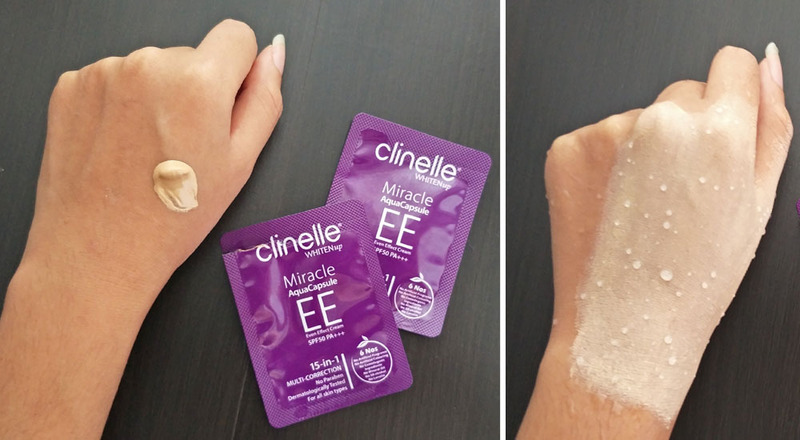 Nice review, Clinelle seems like a great product. i havent used any of the product but if that sleeping mask can put me to sleep like you described it wound me awesome. Clinelle products are pretty good, I love their cleansing water, the Hydrocalm Sleeping Mask looks interesting, gonna check it out! I love clinelle's products a lot too. nice review. I haven't heard about this brand before. Sounds good, I want to try it. I like water based products as well. These seem great. Omg your latest skincare looks fabulous. I like water-based skincare for easy absorption. The Clinelle packaging even looks super hydrating. I would love to try that creme!